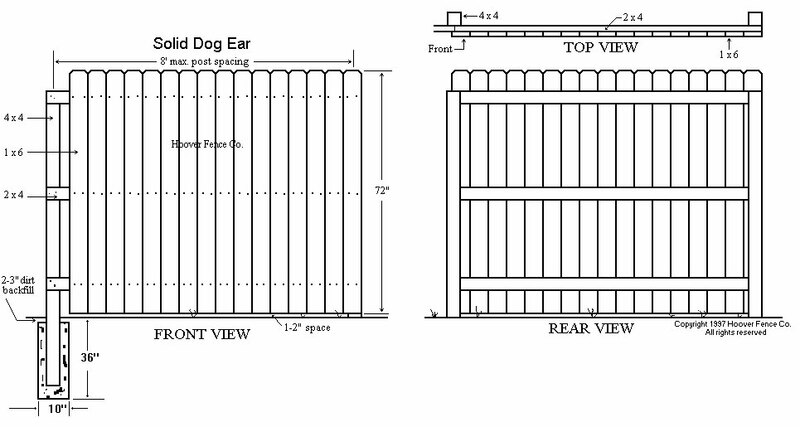 Solid Dog Ear Wood Fence Panels - Straight Top - Treated | Hoover Fence Co. 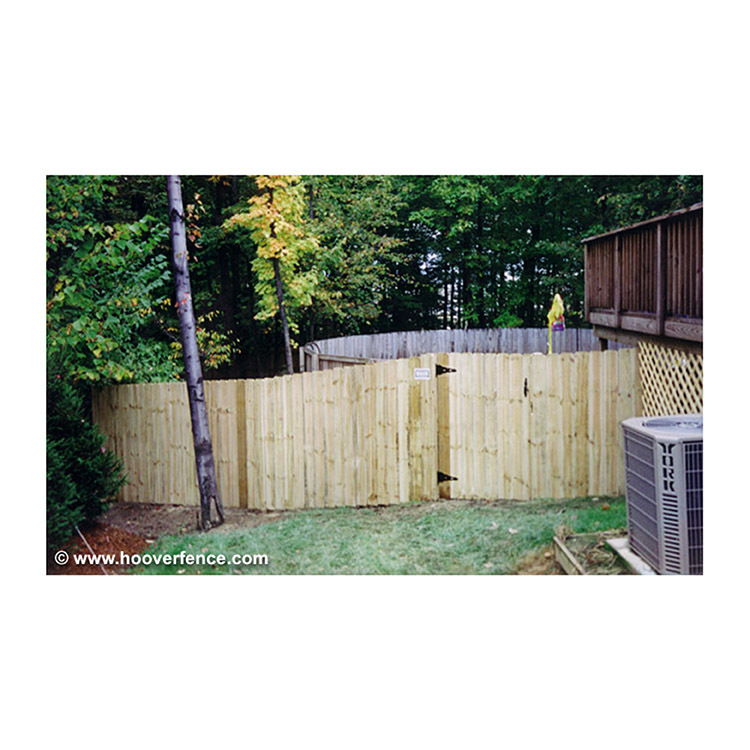 The Treated Pine Solid Dog Ear style of wood fence can be constructed with no spaces between the pickets. 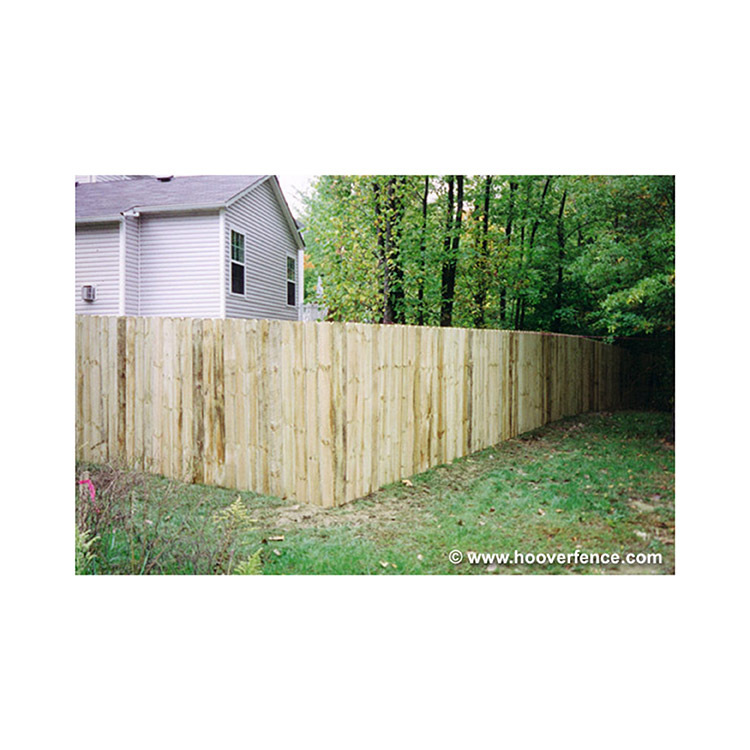 Treated posts are recommended for installation. 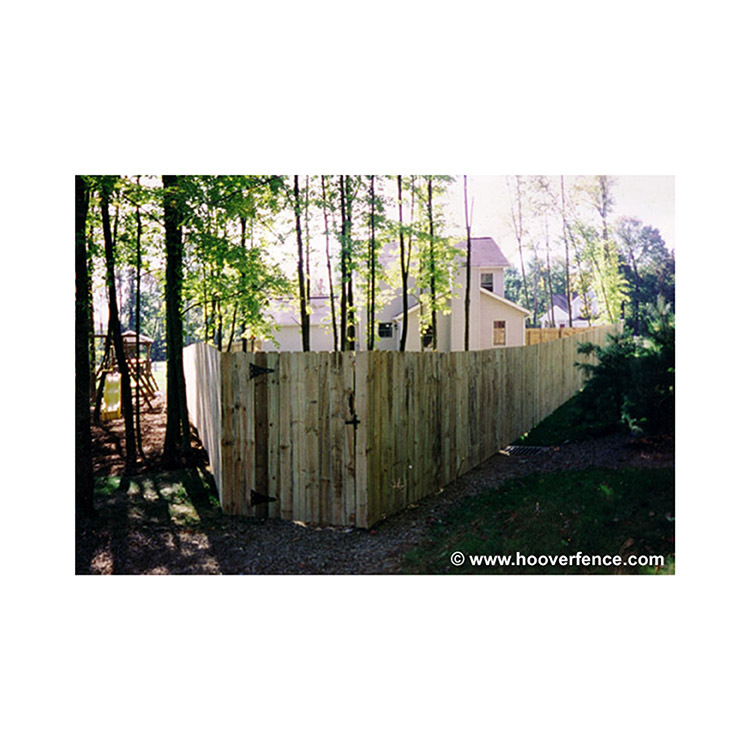 Advantages - Most economical of all our solid (no space between fence pickets) fences. 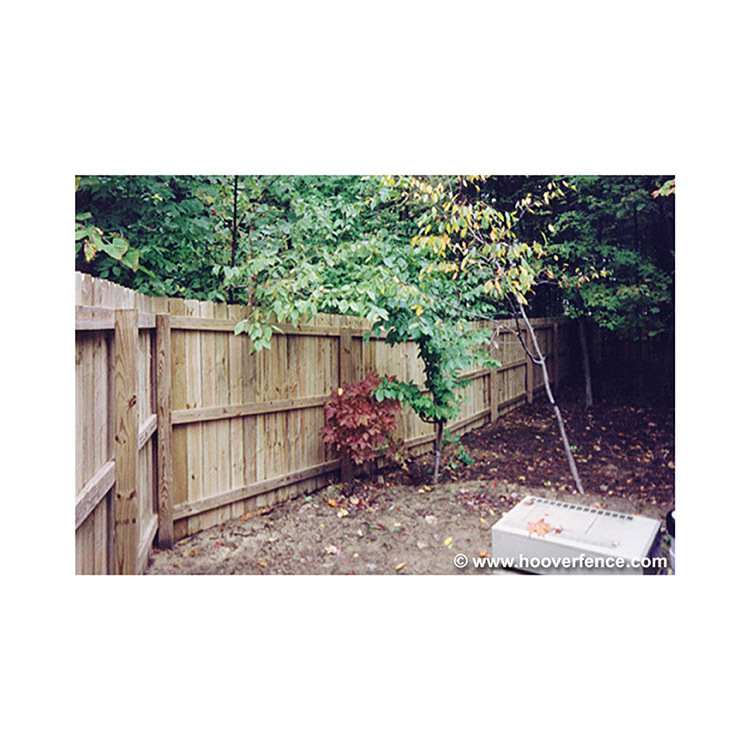 Easy installation for homeowners when panelized. 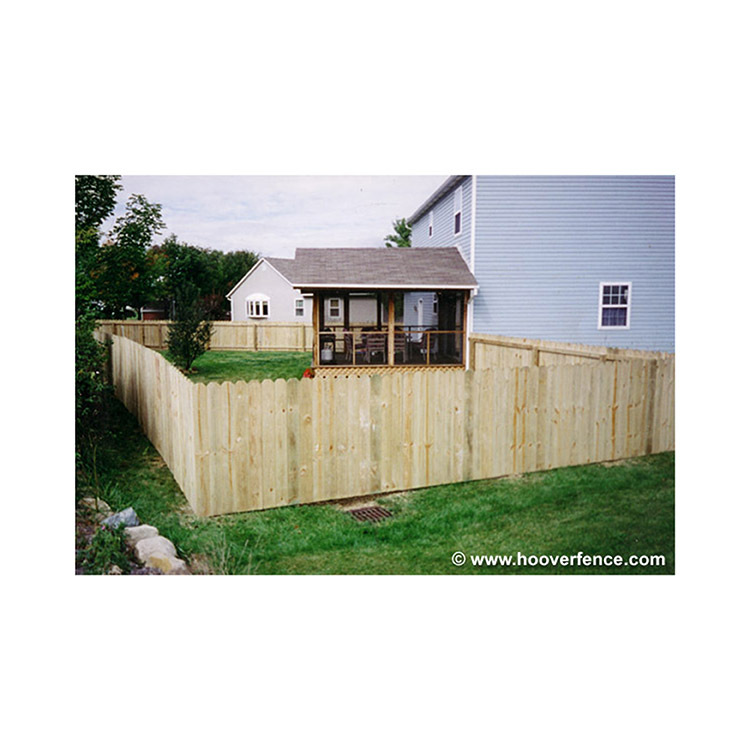 The uniform and consistent pattern of fence pickets makes a shortened section invisible from the outside of fence. This style is very easy to cut down in width. 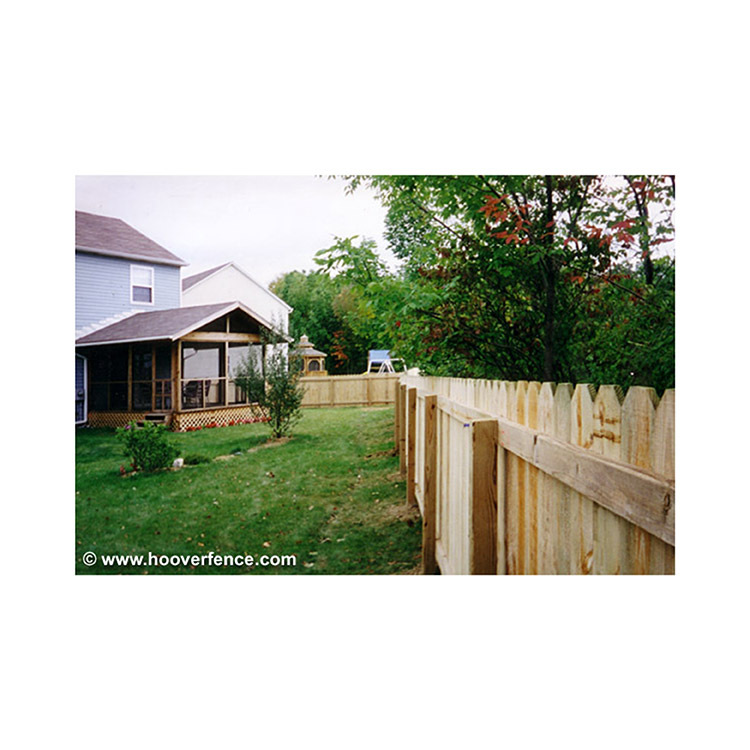 Disadvantages - The style of wood fence has a neighbor side (the good side with pickets) and your side (the post and rail side) as opposed to some styles that are the same on both sides. Wood is not a man-made product and will warp, crack, and fade. We also offer this style in Cedar.